Services / facilities within the building include many historic buildings and exhibitions, including the Crown Jewels, the New Armouries Cafe. The Tower is an historic site, located on a hill. 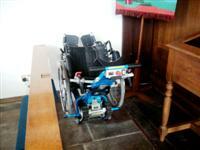 Access for wheelchair users is difficult due to small passageways, stairs and cobbled walkways. Last admission is at 17.00..
You are on Opening Times (November - February). Skip to the next section. Last admission is at 16.00.. The nearest mainline station is Fenchurch Street. The nearest underground station is Tower Hill. The name of the car park is Tower Hill Coach and Car Park. The car park is located behind the Welcome Centre, across Tower Hill. 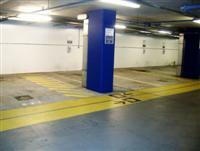 Tower Hill Coach and Car Park contains several designated bays, lift access and adapted and standard toilets. You are on Reception (Ticket Desks). Skip to the next section. The Ticket Desks are located outside the main site, further up Tower Hill from the main entrance. There is a separate ticket desk for groups located between these and the Welcome Centre. You are on Outside Access (Welcome Centre Entrance). Skip to the next section. The door opening is 164cm (5ft 5in) wide. 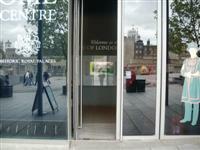 The Welcome Centre is located outside the main site, further down Tower Hill from the Ticket Desks. You are on Level Change (Welcome Centre Entrance). Skip to the next section. You are on Reception (Welcome Centre). Skip to the next section. 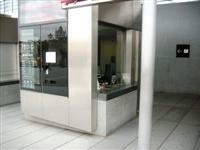 The reception desk is 2m (6ft 7in) from the Welcome Centre entrance. 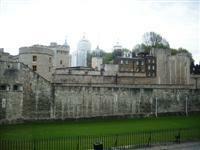 The Welcome Centre provides visitor information on the Tower of London, particularly access information, and allows visitors to buy tickets using credit cards. 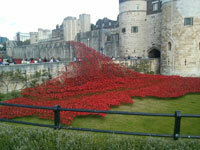 There is also a short video giving an overview of the Tower and it's history shown here. You are on Outside Access (Main Entrance - West Gate). Skip to the next section. This information is for the entrance located on Tower Hill. 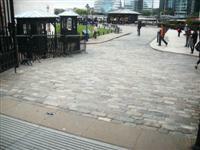 There is a similar entrance on the south of the site, by the Thames, for groups (shown in photograph 2). You are on Level Change (Main Entrance - West Gate). Skip to the next section. The ramp or slope is located leading down from Tower Hill to the entrance. You are on Reception (Audio Guides Desk). Skip to the next section. The reception desk is 55m (60yd) from the main entrance. You are on Level Change (Audio Guides Desk). Skip to the next section. The steps are located leading up to the reception desk. 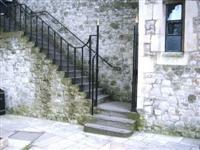 Please contact leading up past the White Tower to Jewell House. The steps are located throughout the venue. There are ramps of varying degrees throughout the grounds. Many of these have a cobbled surface. There are many sets of steps, mainly deep and with handrails on at last 1 side, throughout the grounds. 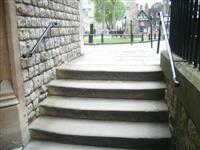 For more details of access around the site, including the number of stairs to the main areas, please see theTower of London's own access guide. Braille signage for exhibits is available. 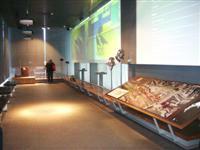 The availability of touch tours depends on exhibition. Staff are trained to use the the hearing system. 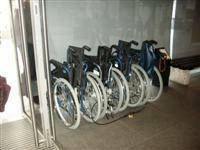 To borrow the wheelchair, ask at the Welcome Centre. You are on Outside Access (Jewel House - Waterloo Block Entrance). Skip to the next section. This information is for the entrance located on the north side of the site. Visitors leave through a similar door at the side of Jewel House. You are on Level Change (Jewel House - Waterloo Block Entrance). Skip to the next section. You are on Inside Access (Jewel House). Skip to the next section. There is a moving walkway on which you travel to view the Crown Jewels. 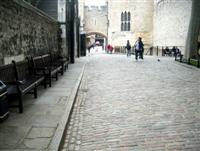 The speed varies depending on how busy the Jewel House is. 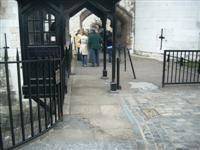 Jewel House Wardens will stop the walkway for wheelchair users on request. 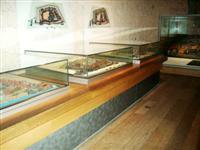 A lift gives access to a platform overlooking the showcases, where the Jewels can be viewed for longer. Also, there is more information about the Crown Jewels and tactile models of five of the objects, which can be explored by touch. The Jewel House Wardens have tactile raised 2D images of the Crown Jewels for visually impaired and blind visitors, available on request. You are on Level Change (Jewel House). Skip to the next section. The ramp or slope is located throughout the areas showing the Coronation films. 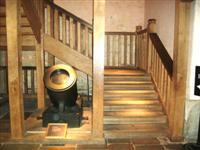 The steps are located in the Crown Jewels Room. The steps lead up to a platform to view the Crown Jewels above the moving walkway. 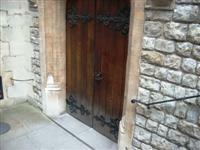 You are on Outside Access (Chapel Royal of St Peter ad Vincula Entrance). Skip to the next section. This information is for the entrance located in the north west corner of the site. 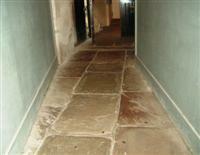 The chapel can only be accessed as part of a Yeoman Warder guided tour. 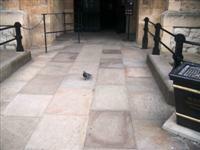 You are on Level Change (Chapel Royal of St Peter ad Vincula Entrance). Skip to the next section. The steps are located leading down to the entrance. A stair climber is available to overcome these steps, shown in photograph 2. There is also a shallow step in front of the entrance. 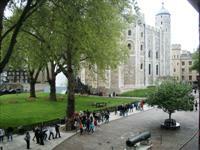 You are on Outside Access (White Tower Accessible Entrance). Skip to the next section. This information is for the entrance located at the rear of the Tower, opposite Jewell House. You are on Level Change (White Tower Accessible Entrance). Skip to the next section. You are on Other Floors (White Tower). Skip to the next section. 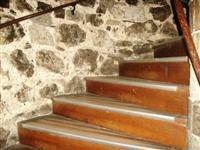 To access the other floors of the White Tower there is a combination of steps similar to these and deep, spiral stairs. There are Braille materials, raised image cards and a short video detailing the history of the White Tower in the basement. You are on Lift (White Tower). Skip to the next section. The lift is located just inside the White Tower accessible entrance. The floors which are accessible by this lift are B-G. 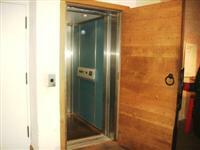 The lift is 5m (16ft 5in) from White Tower accessible entrance. The dimensions of the lift are 75cm x 140cm (2ft 6in x 4ft 7in). Visitors are accompanied in this lift by a member of staff. You are on Outside Access (New Armouries Cafe Entrance). Skip to the next section. This information is for the entrance located on the south side of the site. The door opening is 105cm (3ft 5in) wide. You are on Level Change (New Armouries Cafe Entrance). Skip to the next section. The width of the ramp or slope is 80cm (2ft 7in). You are on Eating and Drinking (New Armouries Cafe). Skip to the next section. 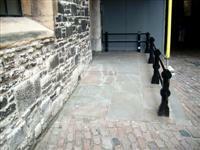 The nearest table is 7m (22ft 12in) from the New Armouries Cafe entrance. The type of food served here is main meals and snacks. 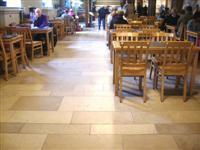 There is also a cafe kiosk outside by the South Wall and the gift shop. . The accessible toilet is 272m (297yd) from the main entrance. The accessible toilet is located in the toilet area, behind Jewell House. The dimensions of the accessible toilet are 112cm x 175cm (3ft 8in x 5ft 9in). The hand dryer is 101cm (3ft 4in) high. 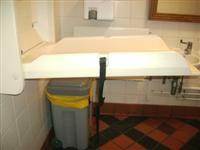 The baby change facilities are located in the adapted toilet. 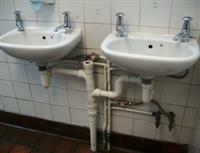 There are 2 adapted toilets here. The other has the transfer space on the left, and no baby charge facilities. You are on Level Change (Adapted Toilets). Skip to the next section. The ramp or slope is located leading up to the adapted toilets. The width of the ramp or slope is 138cm (4ft 6in). The female and male toilets are located in the south east corner of the site. The female and male toilets are 130m (142yd) from the main entrance. These toilets are accessed via easy and moderate ramps from the main entrance. 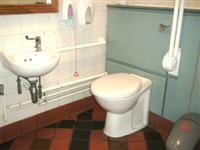 There are also Standard toilets available in the toilet area behind Jewell House. The male toilets here are accessed by steps.